The Royalist forces of King Charles I were on the march to relieve several garrisons, including Banbury Castle (Oxfordshire), Basing House (Hampshire) and Donnington Castle, just North of Newbury in Berkshire. Prince Rupert (of the Rhine) the nephew of Charles joined him briefly before marching off to Gloucestershire to divide the Royalist forces, and create a diversion for the Parliamentarian forces of Robert Devereux (3rd Earl of Essex), which consisted of the combined armies of his own, Sir William Waller and Sir Edward Montagu (2nd Earl of Manchester). 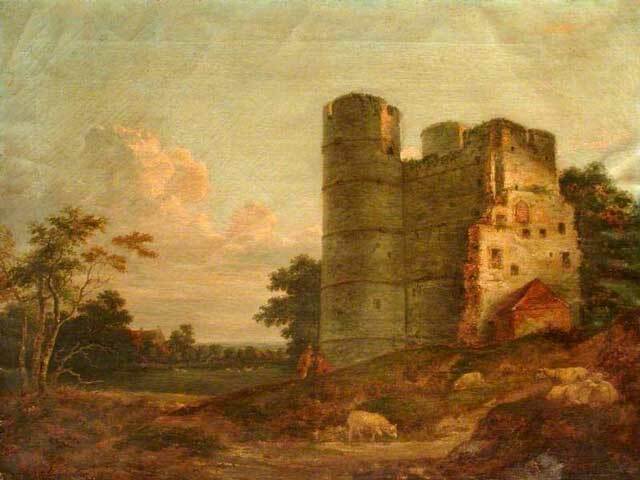 22nd October 1644, Charles arrived at Donnington Castle to relieve Lieutenant Colonel John Boys, the commander of the Royalist garrison, Charles Knighted and promoted Boys to the rank of Colonel. Charles' plan to relieve the garrison at Basing House was stopped due to the risk of the Parliamentarian forces being too strong. Charles refused to withdraw his forces to avoid battle with the approaching Parliamentary army, in spite of being heavily outnumbered, instead he stayed at Donnington Castle to wait for the Royalist forces lead by Prince Rupert and another lead by Lord James Compton (3rd Earl of Northampton), coming back from relieving the garrison at Banbury. Charles' forces had strong points at Donnington Castle (north of Newbury), Shaw House (north-east of Newbury), and the other side of the River Lambourn in the village of Speen (west of Newbury). The Royalist Lord Jacob Astley (1st Baron Astley of Reading) held Shaw House with three brigades of infantry that were commanded by Sir Bernard Astley, Colonel Sir Thomas Blagge, and Colonel Sir George Lisle. Prince Maurice (of the Palatinate) the brother of Prince Rupert, held the Village of Speen along with cavalry that was held in reserve under the command of Lord George Goring. The cavalry was made up of Lord George Goring, Lord Wentworth, Thomas Wentworth (1st Earl of Cleveland) and Sir Humphrey Bennett. The artillery was under the command of Ralph Hopton (1st Baron Hopton). 26th October 1644, during the morning, the Parliamentarian forces advanced a few miles east of Newbury to Clay Hill where they set up a heavy artillery battery. The Parliamentarian artillery fired upon the Royalist, who would return fire, this lasted throughout the day. During the evening, Sir William Waller lead a force of 12,000 men that included the Earl of Essex's infantry, a brigade of the London Trained Bands, and most of the cavalry on a 13 mile march to out flank the Royalists. The route would go through the Villages of Hermitage, Chieveley, Winterbourne, Boxford, across the River Lambourn, then east across Wickham Heath to Speen. Waller's force camped during the night. 27th October 1644, Waller continued his out flanking manoeuvre on the Royalists from the west of Speen. 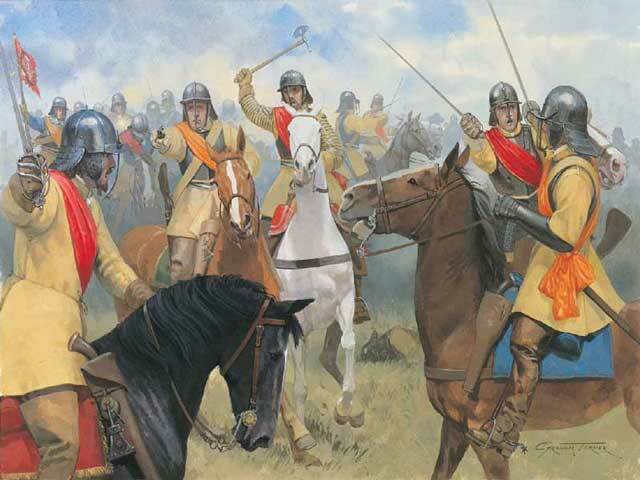 A small detachment of Royalist Cavalry from Donnington Castle were sent to attack the rear of Waller's forces. Waller's forces crossed the River Lamborn and reformed at Boxford. He was supported by Oliver Cromwell's Cavalry on the left flank, the infantry of Philip Skippon was in the centre, and Sir William Balfour's Cavalry on the right flank. 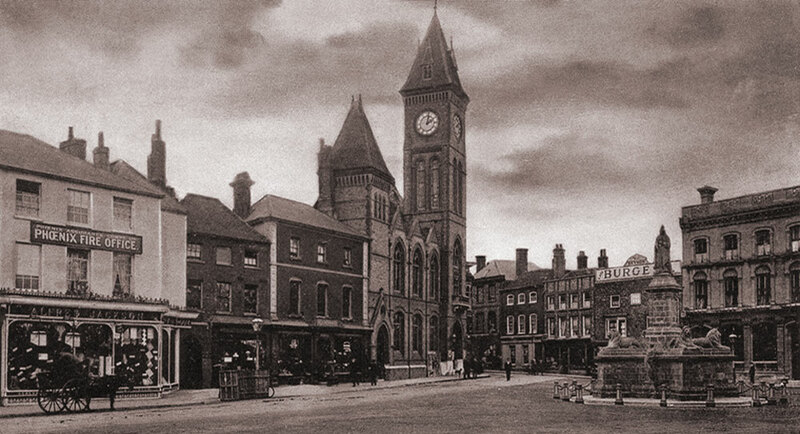 At 3pm, Waller attacked. Upon hearing gun fire of Waller's musketeers, the Earl of Manchester would attack Shaw House with a force of 7,000 infantry. The exchanges of artillery fire at Shaw House was too loud to enable Manchester to hear the gun fire of Wallers musketeers. The infantry of Philip Skippon advanced on the Village of Speen and attacked Prince Maurices Royalist forces, that at the time were unprepared. Skippon recaptured seven of the cannons that were previously lost at the Parliamentarian defeat at Cornwall during the Battle of Lostwithiel. The Parliamentarian Cavalry of Balfour defeated the Royalist Cavalry of Earl of Cleveland, and were then attacked by the Queen's Regiment of horse, and musketeers under the command of Colonel Sir Thomas Blagge that were lining the hedges east of Speen. Oliver Cromwell uncharacteristically was slow in sending in the Parliamentarian Cavalry, and was pushed back with a charge by Lord George Goring's remaining Cavalry. Just before dark, the Earl of Manchester's infantry advanced and attacked Shaw House, but was beaten back by the stronger Royalist infantry of Lord Jacob Astley. The battle had been bloody, with both sides having heavy casualties. 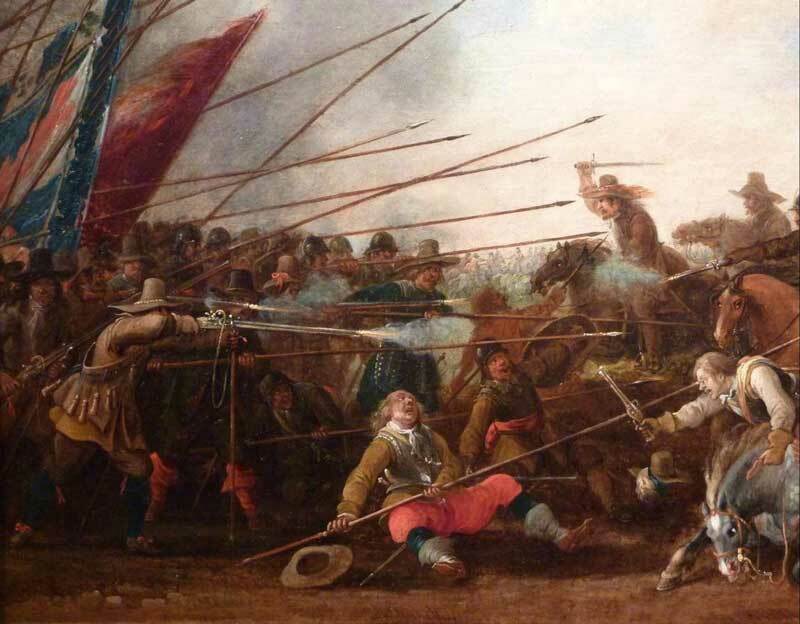 Charles knew that his forces were outnumbered, even though they had held off the Parliamentarian forces, the Royalists would be too vulnerable from another attack in the morning. Charles ordered a retreat northwards over a bridge that crossed the River Lambourn, leaving his wounded men and most of his artillery in the garrison at Donnington Castle. The Parliamentarians did not block the withdrawal of the Royalists, allowing them to freely retreat. 27th October 1644, the combined Cavalry of Cromwell, Balfour and Sir Arthur Haselrig (2nd Baronet) rode northwards in pursuit of the Royalist forces, but this was all too late as the Royalists had already crossed the River Thames at Wallingford and were in the safety of Oxford. The Cavalry turned back south to join the rest of the Parliamentarian force to attack the Royalist garrison at Donnington Castle, the attack was unsuccessful resulting in defeat with heavy casualties. 9th November 1644, Charles was reinforced by Prince Rupert, and the Earl of Northampton to a combined force of 15,000 men. Donnington Castle was relieved with no counter attack by the Parliamentarians. With the formation of the New Model Army, the Parliamentarians put the Royalist garrison of Donnington Castle under siege. During April 1646, Sir John Boys surrendered Donnington Castle to the Parliamentarians, he was allowed to leave with all his men. 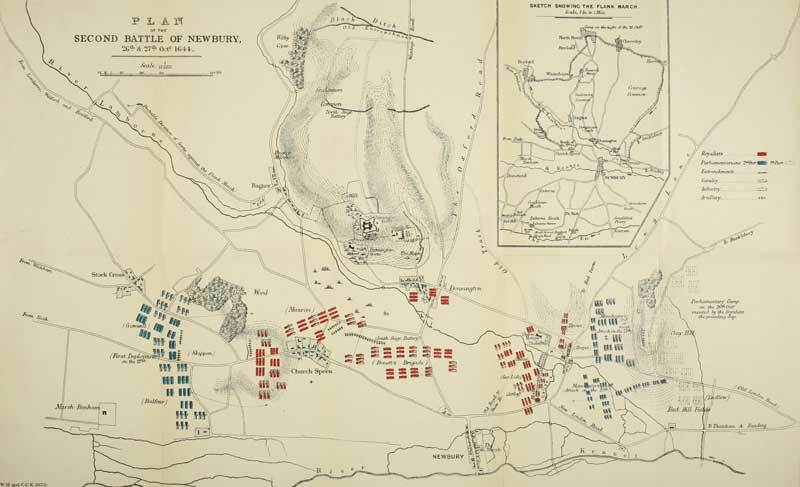 The First Battle of Newbury, a battle of the English Civil War fought by Royalists and Parliamentarians during 1643. The history of Donnington Castle built during 1386, including the siege during the English Civil War of 1644. 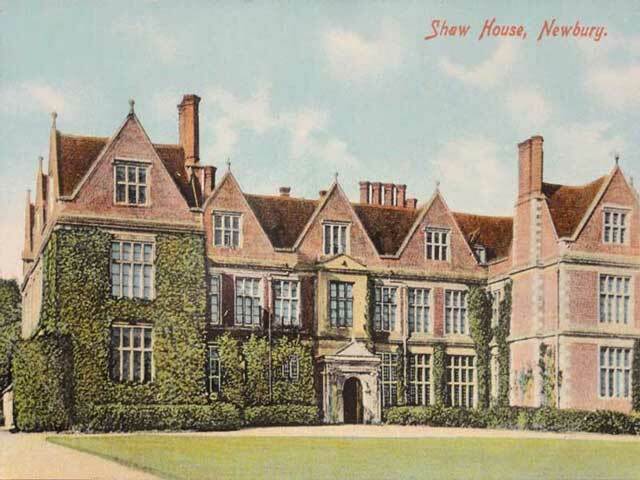 Shaw House was built by Thomas Dolman, involvement in the English Civil War and WWII, then became a school.